Most people in the West had never heard of Mao Zedong until he was interviewed by American journalist Edgar Snow. Snow's book Red Star Over China made both men well known. Snow was later kicked out of China and prohibited from entering the country until 1960. In 1970 he was the first journalist to report that Mao wanted to meet Nixon. In 1972, Snow died, attended by doctors sent by Zhou Enlai. Books: The Long March by Edmund Jocelyn and Andree McEwen (2006) and The Long March by Sun Shuyun, based in accounts from 40 of 500 participants that were still alive in 2005. Mao; the Untold Story by Jung Chang and Jon Halliday (Knopf. 2005). Jung Chang, author of Wild Swans, and her husband John Halliday, a British historian, portrays Mao as villain on the level of Hitler and Stalin. The book was read by U.S. President George Bush and embraced by the American right as a condemnation of Communism. It characterizes Mao as cruel, materialistic, self-centered and a leader who used terror with the aim of ruling the world. 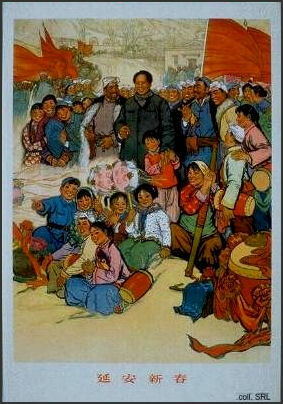 There is also a Mao biography by Jonathon Spence. Also check out: Mao's New World: Political Culture in the Early People's Republic by Chang-tai Hung (Cornell University Press, 2011) and The Private Life of Chairman Mao by Dr. Li Zhisui (1994). Other books: 2) The Penguin History of Modern China by Jonathan Fenby 3) . Red Star Over China by Edgar Snow; 4) China: A New History by John K. Fairbank; 5) In Search of Modern China by Jonathan D. Spence; 6) Cambridge History of China multiple volumes (Cambridge University Press). 7) Jay Taylor The Generalissimo: Chiang Kai-shek and the Struggle for Modern China (Cambridge, MA: Belknap Press of Harvard University Press, 2009); 9) Shark Fins and Millet is an excellent depiction of China in the 1930s by Polish-born journalist Ilona Ralf Sues, who met up with Big-Eared Du and Madame Chiang Kai-shek. You can help this site a little by ordering your Amazon books through this link: Amazon.com. “Maneuvers in Guizhou occupied the Reds for four months, during which they destroyed five enemy divisions, captured the headquarters of Governor Wang and occupied his foreign-style palace in Tsunyi, recruited about 20,000 men, and visited most of the villages and towns of the province, calling mass meetings and organizing Communist cadres among the youth. 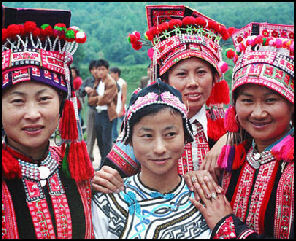 Their losses were negligible, but they still faced the problem of crossing the Yangtze. 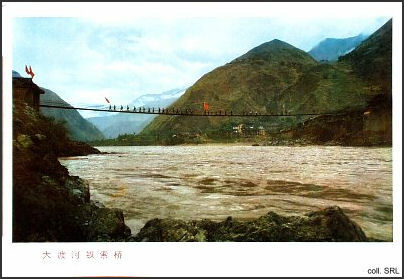 By his swift concentration on the Guizhou-Sichuan border, Chiang Kai-shek had skillfully blocked the short, direct roads that led to the great river. He now placed his main hope of exterminating the Reds on the prevention of this crossing at any point, hoping to push them far to the southwest, or into the wastelands of Tibet. To his various commanders and the provincial warlords he telegraphed: "The fate of the nation and the party depends on bottling up the Reds south of the Yangtze." The West was also not aware of Kuomintang atrocities until another famous American journalist, Theodore White, reported that Chiang Kai-shek's army warehouses overflowed with grain while people in the Hunan province were starving to death, and eating bark and leaves to survive. Another famous Western associated with Mao was Sidney Rittenberg. Born in South Carolina, he lived in China for 35 years, shared rice gruel in a cave with Mao, and taught him about American life. He served as Communist Party functionary and as an advisor to the Gang of Four during the Cultural Revolution and spent 16 years in Chinese jails in solitary confinement after being falsely accused of spying. Today he is regarded as one of the leading China experts in the United States. Among those who have sought his advise, counsel and help are Bill Gates and executives with Intel and Levi Strauss.